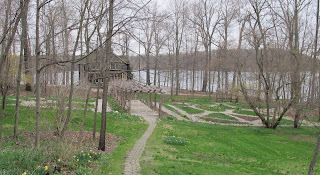 Last week, I went on a road trip with the Hoosier Gardener to the Cabin at Wildflower Woods, the home of the Indiana author, Gene Stratton-Porter (1863- 1924). In her lifetime, Stratton-Porter wrote 26 novels including Freckles, A Girl of the Limberlost, and The Magic Garden. She was also an amateur naturalist and wildlife photographer and her novels reflect her love of nature in general. 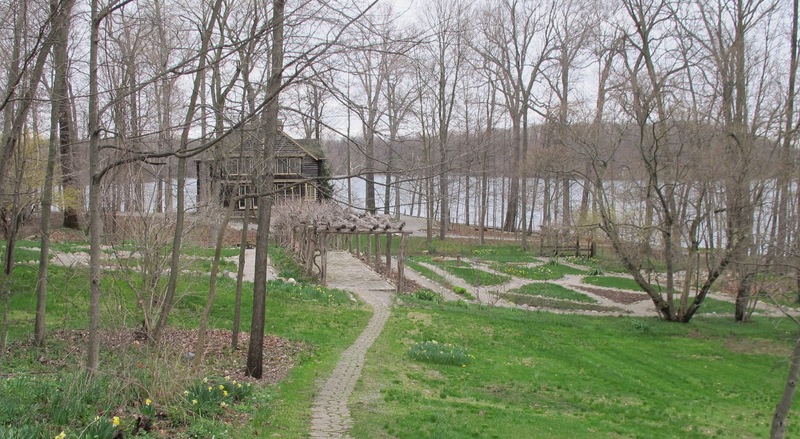 Her second home, The Cabin at Wildflower Woods on the shores of Sylvan Lake near Rome City, Indiana, is surrounded by a forest, her gardens, and an orchard. 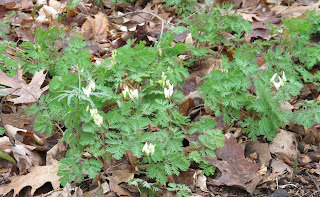 In the woods, the wildflowers were just beginning to bloom on the day we visited. 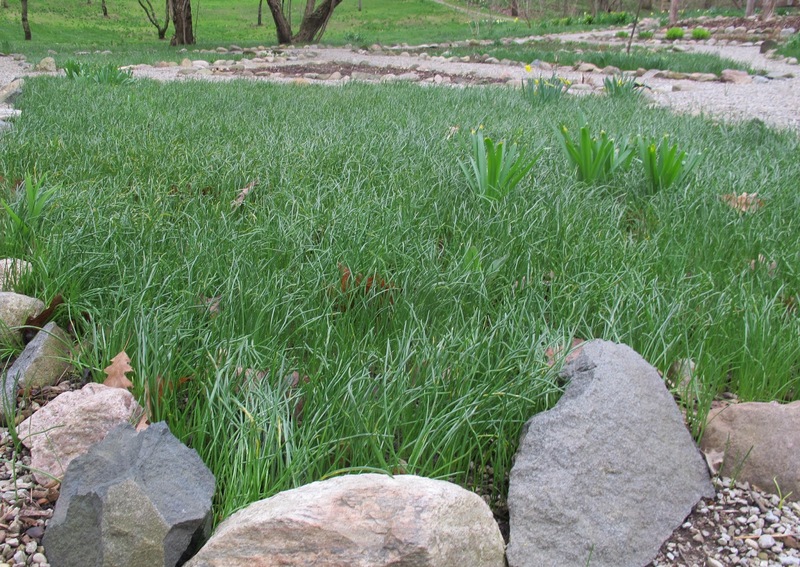 The garden plots were green with the foliage of Star of Bethlehem, Ornithogalum umbellatum. Not good! 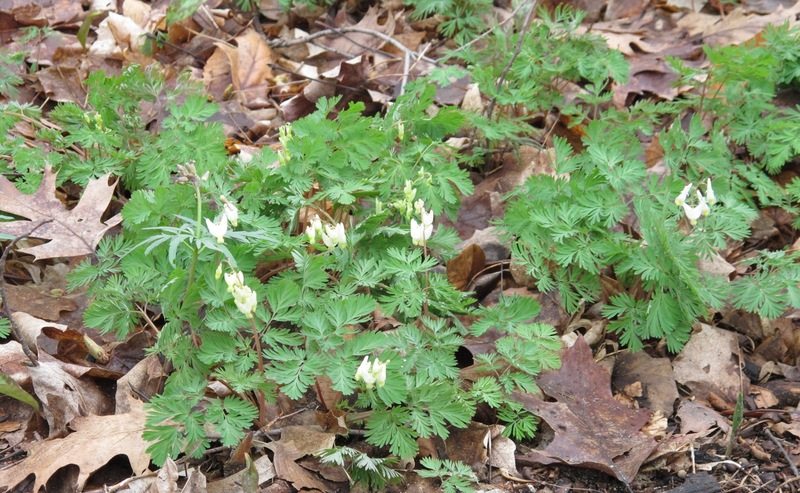 This highly invasive spring flower chokes out everything else that tries to grow in these beds and has spread out of the beds and up into the woods, where it chokes out many of the native wildflowers. The staff members at this state historic site work with volunteers who attempt to dig out Star of Bethlehem as often as they can, but it seems impossible to dig it out completely. 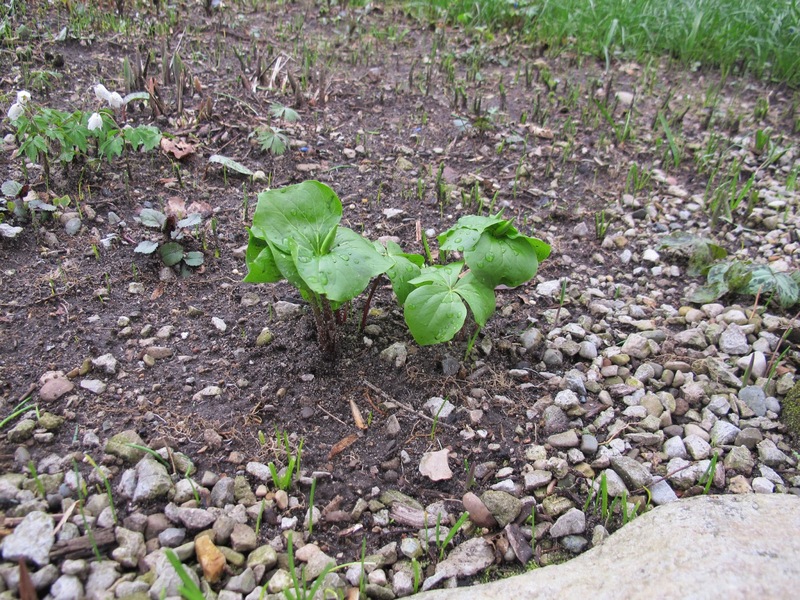 This Drooping Trillium grows in a bed where volunteers have spent hours digging out the Star of Bethlehem. If you look closely, you can see the green shoots of more Star of Bethlehem coming up all around the trillium, even after all that digging and sifting of soil to remove the bulbs of the plant. It is a never ending task to dig out this invasive plant. 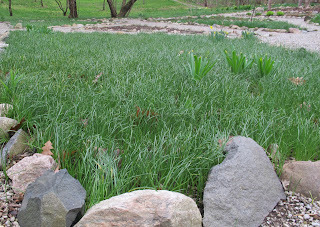 Like many spring bulbs, eventually the Star of Bethlehem foliage will die back and the staff and volunteers at this state historic site can plant annuals and other plants in the garden beds. For those who scoff at the idea that a plant can be that invasive, a trip to The Cabin at Wildflower Woods in the early spring should convince them that invasive plants can be and are a problem in many areas. Every state maintains lists of plants considered invasive in their state. Do a good thing today. Search online for your state's list of invasive plants and make note not to plant any of them in your garden. Don't buy them even if you see them for sale at garden centers or big box stories. Don't scoff and say you'll control the invasive plants. You won't. You can't. You shouldn't. Why do you want to? There are always better choices and hacking back an out of control invasive plant is not a fun way to garden. For more posts about wildflowers, visit Gail at Clay and Limestonehttp://www.clayandlimestone.com/2013/04/wildflower-wednesday-practically.html, our hostess for Wildflower Wednesday on the fourth Wednesday of the month. It's so tempting to buy plants like this when you are starting a flower bed. The terms spreads quickly or naturalizes easily gives us hopes of beautiful beds quickly. I'm guilty of this and I know better and have spent hours pulling up unwanted plants. Great post and reminder! I have S.O.B. in my yard. It was here when I moved in, covering one garden bed. Over the past 7 years, I have spent countless hours digging it up, trying to control/eliminate it. 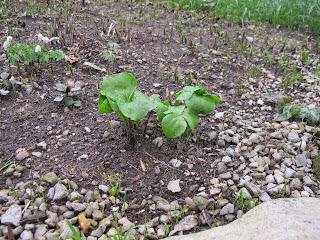 I now find it (in small amounts so far) in nearly every garden bed. Do not plant this plant! Thanks for the information about this plant. I have a few growing that look similar, so I'm going to do some research and if I find that's what I have growing, out they come. OK, this is one plant I'm happy to say won't grow here! We have lots of invasive weeds, how i wish we are already like your country in preventing more invasion. On the contrary, people just introduce foreign species without thinking of the consequences, and our laws or implementation of laws are not as stringent. Beautifully said! There are so many better options among native non-invasives. Good advice! Star of Bethlehem is a headache for volunteers at Wing Haven, too. The fight against it has gone on for years. What a fun road trip! I read "A Girl of the Limberlost" when a girl, but I'd probably appreciate the setting much more today. I don't think I have Star of Bethlehem here, but heaven knows I have enough other invasive plants. I'm fighting a never-ending battle with Creeping Charlie these days.